The other day I said, being as Halloween is approaching, I would review some of my "spooky" games. I had lined up the games I was going to review, but while I was out today I spotted the NinjaGO starter sets on a shelf of toys. 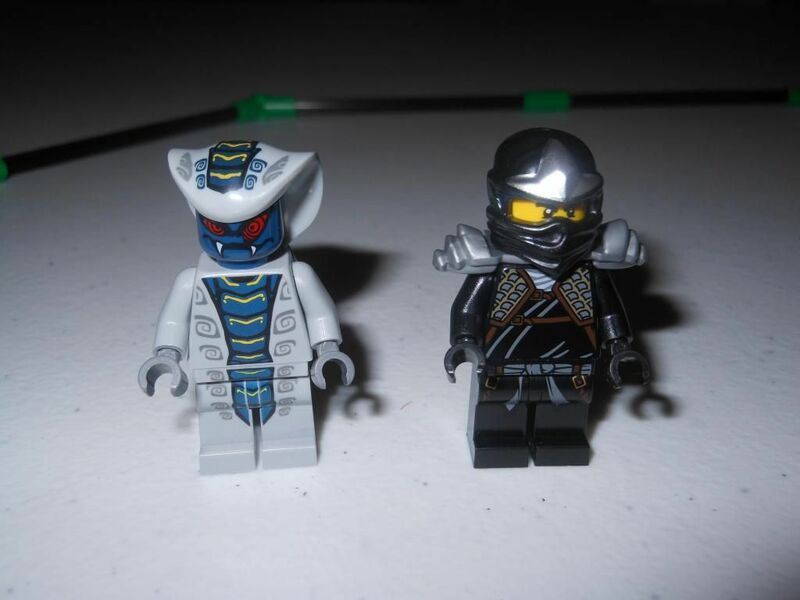 NinjaGO features ninjas fighting skeletons and my brain immediately started connecting the dots... Skeletons... Halloween... What was I supposed to do? So, rather than the review of Ghost Castle I was going to post, you get a review of NinjaGO, one of the most bizarre game/Lego mash-ups I've seen so far. The starter set ships in a blister pack (no box, tut tut), and consists of two spinners, two mini-figures, six "weapons," an arena to fight in, a few odd blocks, and 10 cards (two character cards, eight power cards). You don't get much Lego for your £9. Everything is of a suitably high quality, as you would expect from Lego; but examining the spinners revealed something I hadn't expected: There is no mechanism to make them spin. I thought there would be some kind of ratchet to twist - but no - you sit your mini-figure on the top, and then you spin the spinner by hand. Colour me disappointed. Mr Ninja tried not to look at Snake Man's junk. Okay, so apart from the fun of pushing together the mini-figures and building the arena (which is hardly Lego's finest hour - it is just 10 plastic bars held together with connectors), is there really a reason to fork out £9 for one of these starters? 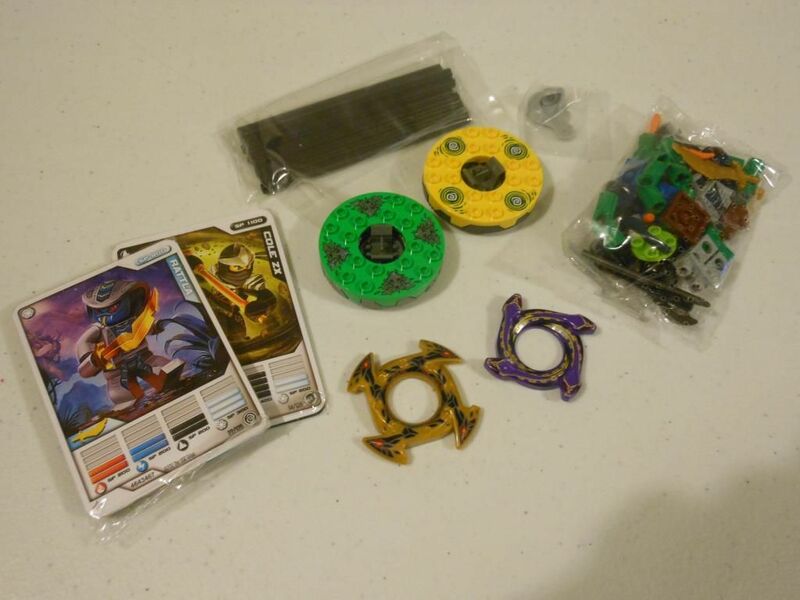 Here's how the actual game works: You take one mini-figure, three weapons, four power cards, and a spinner. You put a weapon in your mini-figure's hand, and then put the mini-figure on the spinner. You and your opponent then spin the spinners into the arena. As the mini-figures hit each other, a unique device in the spinner will start to turn and push the mini-figure up until eventually he falls off the spinner completely. If a mini-figure falls off his spinner he has lost that round and loses one of his weapons. Lose all three weapons, and it's game over. There are really odd power cards that can be played during the fight. These allow you to perform challenges in an attempt to win back weapons, and some of them are even designed to be THROWN at your opponent's spinner. Yeah... You throw your cards around. Crazy. 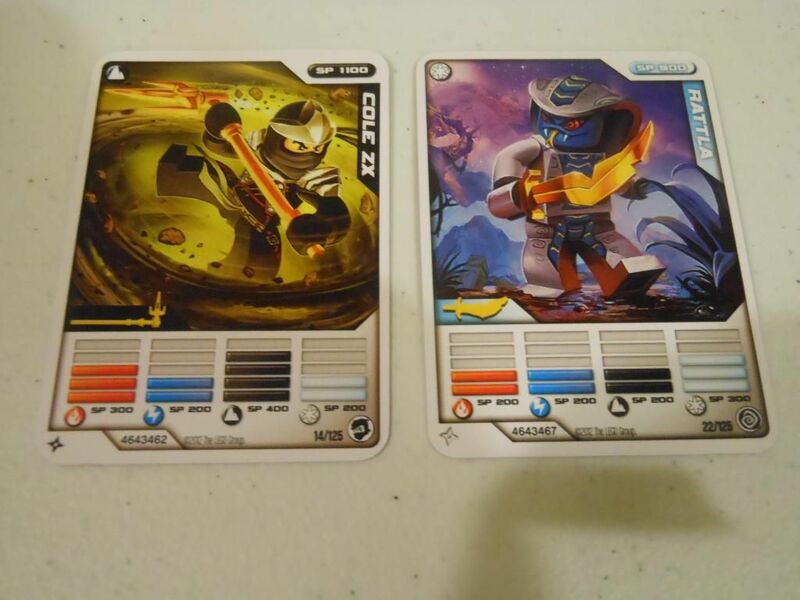 The power cards do add some variety and choices, but at the end of the day you are still just spinning a spinner and hoping for the best. The characters, with the shadow of the Grim Reaper looming over them it seems. Lego have attempted to wedge a game in here, but what you really have is a toy. The main enjoyment won't be derived from finding great combinations of power cards to crush your enemy; the main enjoyment will come from delving into your box of mini-figures and finding firemen, knights, vikings, and whatever else you have around to fight to the death in your little plastic arena. A minor distraction. Nothing more. Lego is expensive (some would argue quite rightly so, as it is one of the true quality products you can get for children), but I've just paid £9 for two mini-figures and two spinners, and that seems a bit steep to me. I have been a life long LEGO fan and I never understood this weird Ninjago game. 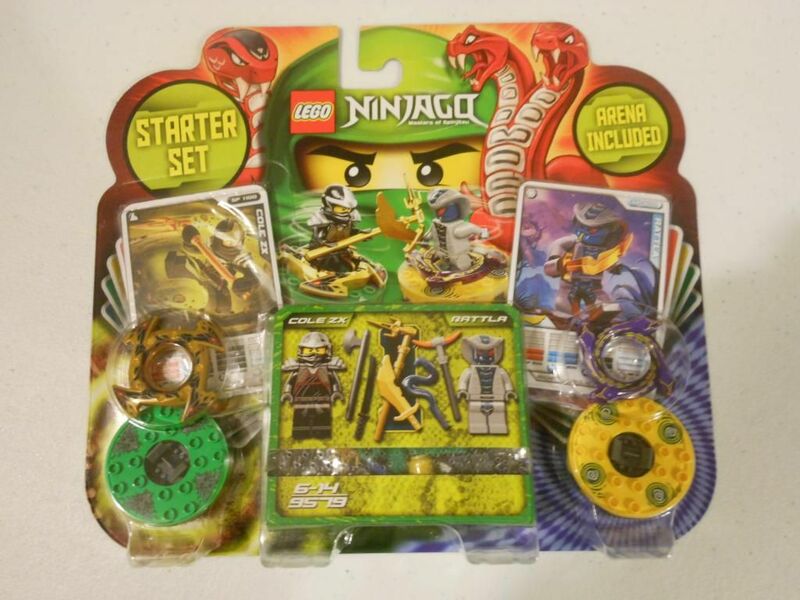 Of course, despite this Ninjago, Masters of "Spinjitsu" has become the most popular LEGO theme ever, because ninjas. Think I'll just stick to buying Marvel and The Lord of the Rings sets.